The problem with a Psychometric test definition is that psychometrics is the field of study concerned with the concept and technique of psychological measurement. PeopleMaps specialises in personality tests yet this is merely one kind of psychometric. Typically people refer to “psychometric test” when they mean “personality profile”. And as far as personality goes, it is inaccurate to refer to it as a “test” as it is in fact an evaluation. There are no ideal or incorrect responses when dealing with PeopleMaps evaluations. Health Psychology and Clinical Scales. Numerical Tests– Many companies conduct statistical examinations, even if the job doesn’t strictly need you to be excellent with numbers. 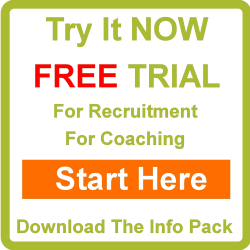 When business are confronted with a lot of applicants, they need to formulate various means of producing an interview list and statistical screening is one appropriate way of doing this. The relationship between excelling with numbers and managing to do the job however simply isn’t there. The problem with a lot of systems is that they are overly complex. A great deal of smoke and mirrors is used, which can make them challenging to utilize. PeopleMaps tried to alter all that by making its system easy to use. No experts required. No extensive training needed. The records are written in ordinary English and the modern technology is very simple to use. With PeopleMaps you can take pleasure in innovative profiling without it being complicated. There are several definitions however be aware that most people are actually talking about personality profiling, which is only one school of psychometrics. If this is the case then you may want to look up the definition of a personality test instead. The PeopleMaps system produces a Psychometric Test pdf so tat you can read the reports and share them without using PeopleMaps software. This is also a safe format for storing personality reports. This is just one Psychometric Test Definition.